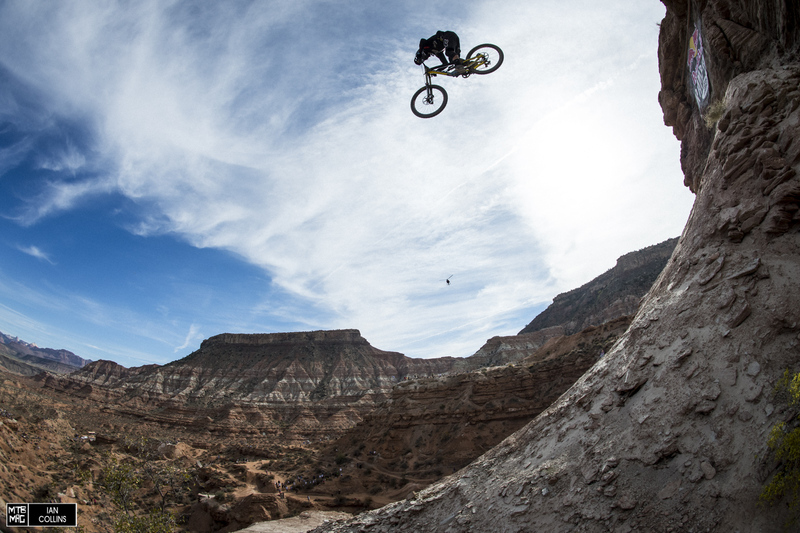 This month, leading up to Red Bull Rampage on October 27th, we’re catching up with as many of the riders as we can in hopes of providing our readers with an insightful glimpse into the athletes’ lives leading up to the biggest freeride event of the year. 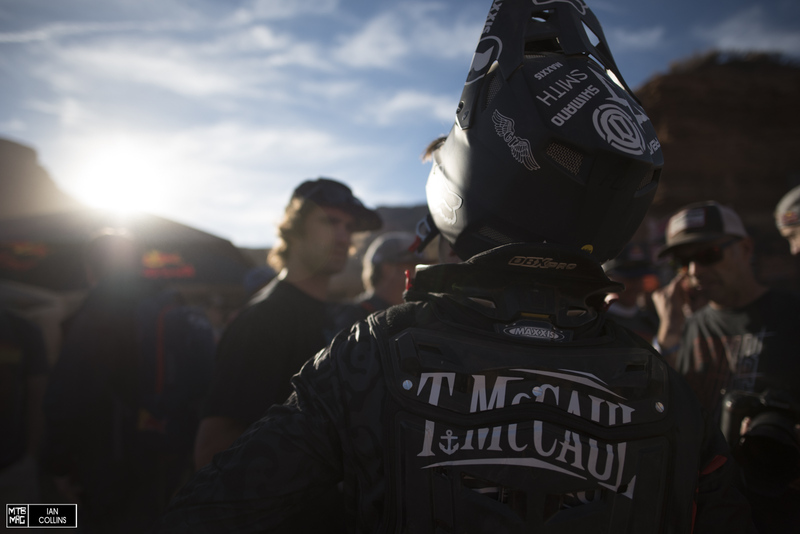 For our first installment, we’re catching up with our local pal, Tyler McCaul. In years past, T-Mac has been known for building freakishly large drops and going absolutely massive as you’ll see in the pictures below. T-Mac: My suspension set-up is the biggest change I make. I’ve struggled with figuring out the right setup for that place ever since I started riding Rampage. This year is the first time I finally feel like I have it figured out. Basically, the setup I run at Rampage only feels good at Rampage, and it feels like crap anywhere else. 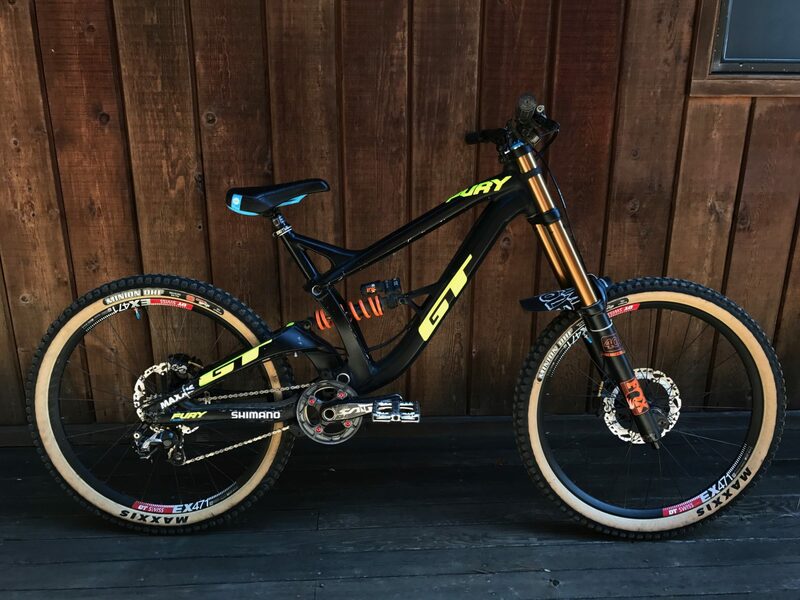 I used to always set it up at home, and would get it to where I’d think it’s stiff enough and dialed on the trails I have here, but when I’d get out to Utah it would just blow through the travel and bottom out on even the smallest stuff on my lines. 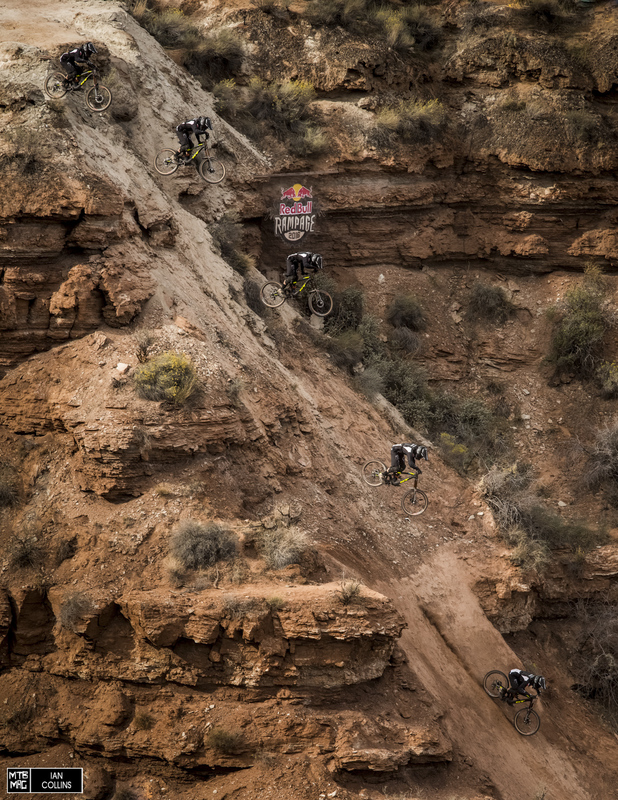 The terrain is just different out there, and the hits are so much harder. I set it up mega-stiff now with my high speed compression and rebound pretty much fully cranked. I keep the low-speed settings somewhere in the middle so that I can still get traction and hook up on the smaller bumps. I switched to the Fox Float X2 this year cause I can make it more progressive for the big hits. I run max pressure in that bad-boy and I haven’t felt it bottom once yet. The GT Fury that T-Mac has been training on. We’ll show you has Rampage bike once he’s got it all built up. T-Mac: Pretty sure I wear every single form of gear possible for Rampage, haha. I don’t f*ck around with that out there, cause you can get real messed up if you make a mistake. From top to bottom I wear a fullface, goggles, neckbrace, chest/back protector, gloves with knuckle guards, elbow pads, padded under-shorts, knee/shin guards, and ankle braces. Tyler – kitted up and ready for qualifying in 2015. T-Mac: Yep, we’ll be making quite a few changes, but that main base of the line will still exist. Last year there was stuff I wanted to add but we ran out of time. Since it was a new venue we basically had to build an entire line from top to bottom. I was on the ridge for too long last year and I feel like I got docked for it. This year I want to add some steeps to my line, and peel off the ridge a little earlier somehow before I head into my big drop. Pretty much just going to try to fill all the categories my line was lacking last year, and make it the best I possibly can. T-Mac: Wind. Wind can completely ruin everything during a run, and can come out of nowhere. It’s the worst when so much work goes into something and then it can be taken away by an uncontrollable force like that. 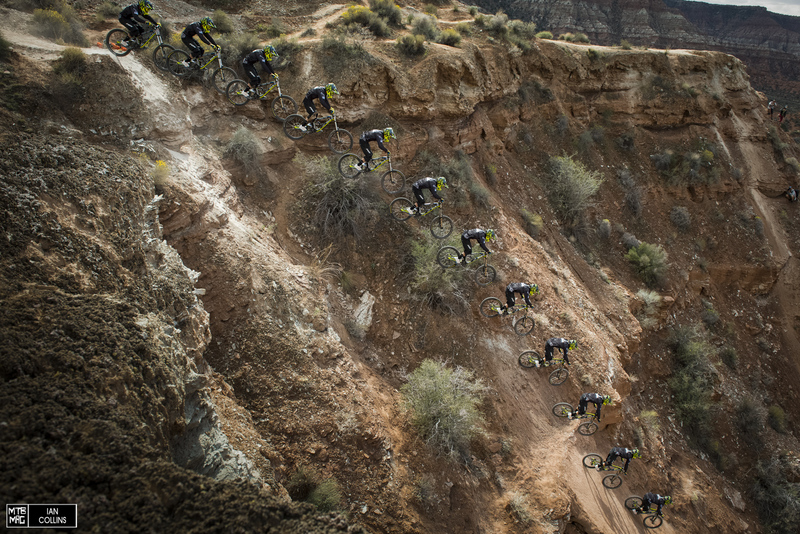 We’re not 100% sure, but this drop might have been the biggest at Rampage in 2015. Tyler unfortunately was injured in practice on a jump just below this, so he missed finals. Mtb-Mag: Thanks Tyler! See you in the desert. Good luck out there.